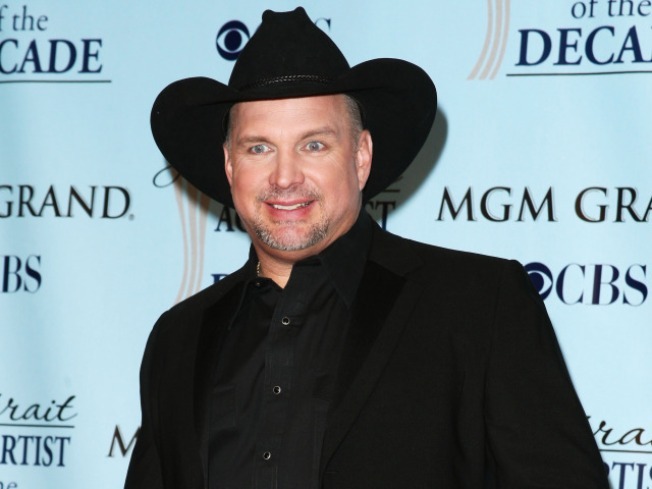 Garth Brooks is back and out of retirement. Access Hollywood'sNancy O'Dell was the first to sit down and talk with the country superstar about his comeback just before he made his announcement in Nashville earlier this week. Family is the most important thing is Garth's life. Eight years ago, at the height of his fame, the top-selling solo artist in U.S. history with over 128 million albums, gave it all up to be home for his and former wife Sandy's three daughters, who are now teenagers. "Playing music doesn't worry me, it's easy. Making sure [my children are] good, that's what I have started, that's what I'm in the middle of," he told Nancy. Now returning to work, Garth isn't reducing his parenting duties. Starting in mid-December, he'll perform select weekends at the Encore Hotel in Las Vegas and will be home in Oklahoma during the week with his girls. "Are they planning on coming every weekend?" Nancy asked. "Oh yeah… The weekends that they're not with Sandy," Garth said. "So it works out still the same for us. So nothing changes and that's important." And Garth will be flying in style as he commutes to his new gig. He revealed Steve Wynn has loaned him a private jet to shuttle between home and work. "So you can't park it in your driveway, right?" Nancy asked. "Oh, see if they can stop me," Garth laughed. PLAY IT NOW: All Access Exclusive: Garth Brooks Returns! PLAY IT NOW: Access Exclusive: Will Trisha Yearwood Perform With Garth Brooks?